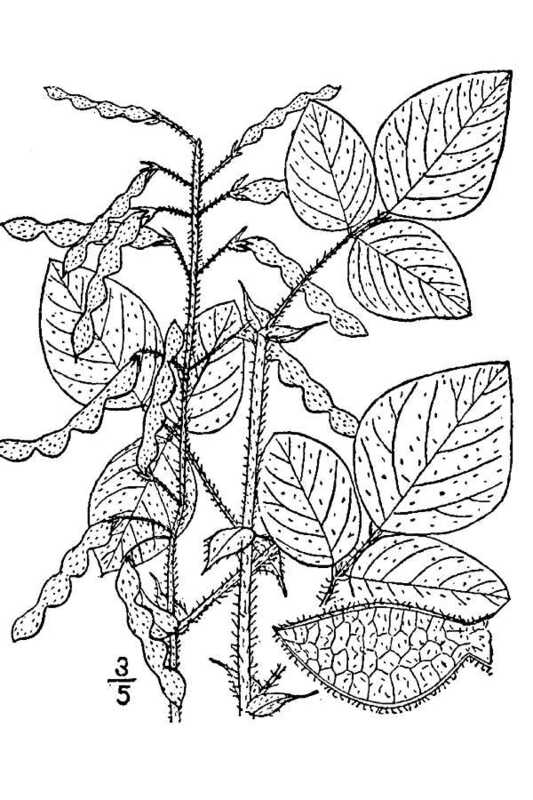 Desmodium cuspidatum.USDA-NRCS PLANTS Database / Britton, N.L., and A. Brown. 1913. An illustrated flora of the northern United States, Canada and the British Possessions. 3 vols. Charles Scribner’s Sons, New York. Vol. 2: 399 (Accessed 5/2014). Desmodium is a genus of perennial herbs, stipules present. Plant often hairy. 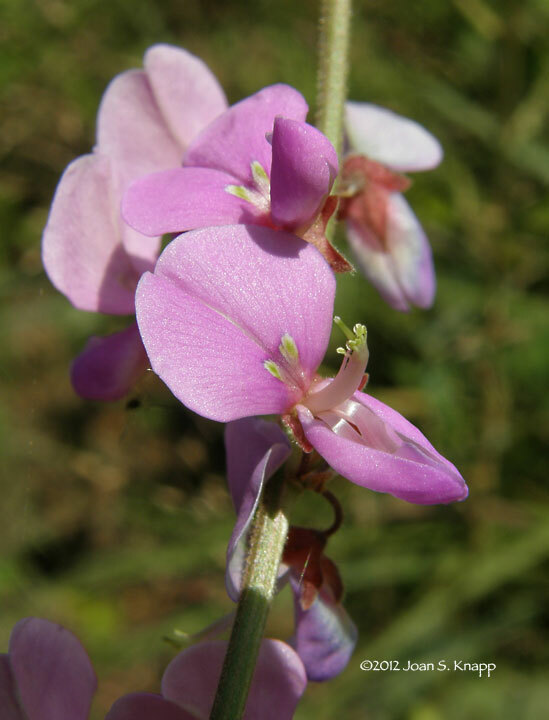 Desmodium flower.© 2012 Joan S. Knapp.anybodyseenmyfocus.blogspot.com (Accessed 12/2015). Flowers pink to purple, occasionally white, bilaterally symmetrical, bean-flower shaped, 5-parted, upper petal the largest (standard) 2-lobed, rounded to egg-shaped, lateral petals (wings) smaller, two basal petals fused to form the keel that surrounds the 10 stamen, 9 stamens fused around single stigma, 10th, uppermost stamen free. Desmodium fruits ©. K.R.Robertson.Illinois Natural.History Survey. www.inhs.illinois.edu (Accessed 12/2016). 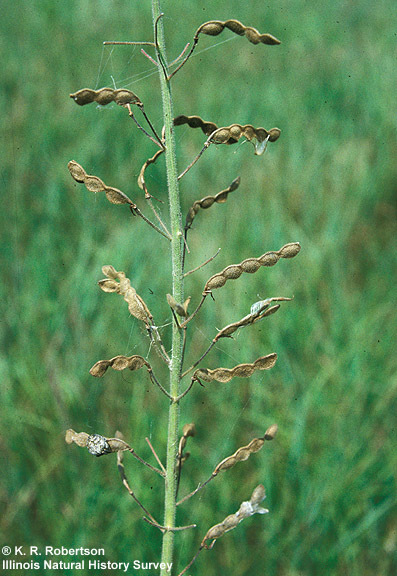 Fruit dry, covered with hooked hairs, a jointed pod (loment), lower edge notched between seeds and breaking apart at seams between seeds. Dispersed by attachment to fur or clothing (Matlack 1994). Notes: Ours all native. Some Desmodium species are host to larvae of the orange sulfur butterfly, Colias eurytheme (Pieridae) (Tallamy 2003; Pyle 1981).